The Partnership for Maternal, Newborn and Child Health (PMNCH) and International Center for Journalists are running a new programme that aims to elevate coverage of women’s and children’s health issues by bolstering the knowledge and skills of young journalists. Participants will learn from top international experts, and amplify the conversation around these critical topics in their own countries. 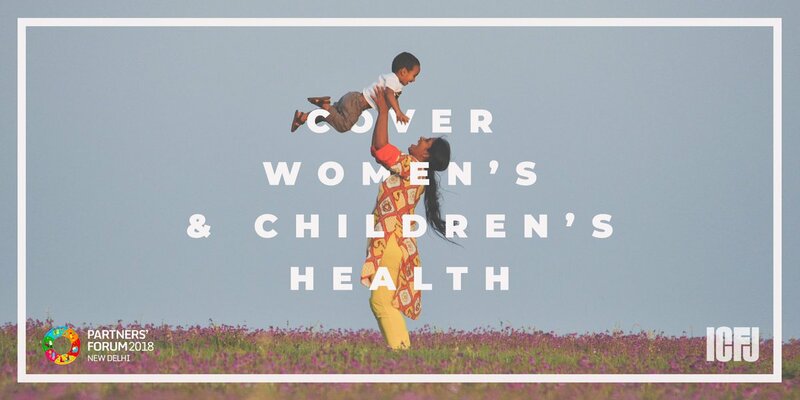 Funding is available for 25-30 journalists from around the world to combine participating in the programme – which runs from 11 to 14 December in New Delhi – with attending the 2018 Partners’ Forum of the Partnership for Maternal, Newborn and Child Health, which will bring together 1,200 partners dedicated to supporting women’s, children’s and adolescents’ health. Especially encouraged to apply are broadcast journalists and those with public speaking experience, and those from Afghanistan, Cambodia, Chile, Germany, Guatemala, Malawi, Malaysia, Indonesia, India, Sierra Leone, South Africa and the United States. Journalism students are not eligible. The deadline for applications is August 21. Read more about the programme and how to apply here.